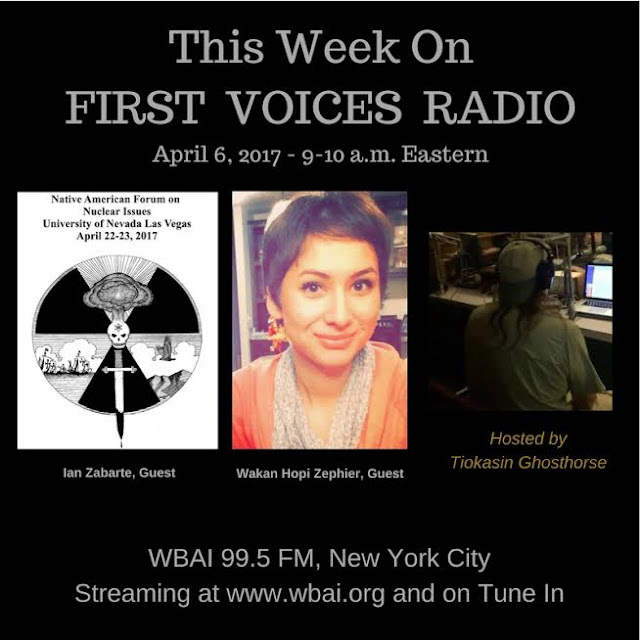 “First Voices Radio” Founder, Executive Producer and Host Tiokasin Ghosthorse talks with two guests in this week’s edition of “First Voices Radio.” Ian Zabarte is Principal Man of the Western Bands of the Shoshone Nation. 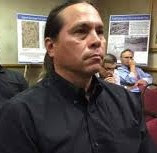 He is Secretary of the Native Community Action Council, an Indigenous organization investigating the adverse health consequences known to the Shoshone people from United States and United Kingdom testing of weapons of mass destruction within the treaty-defined Shoshone Nation. Tiokasin and Ian discuss the Native American Forum on Nuclear Issues,” which is taking place at the University of Nevada/Las Vegas on April 22-23, 2017. 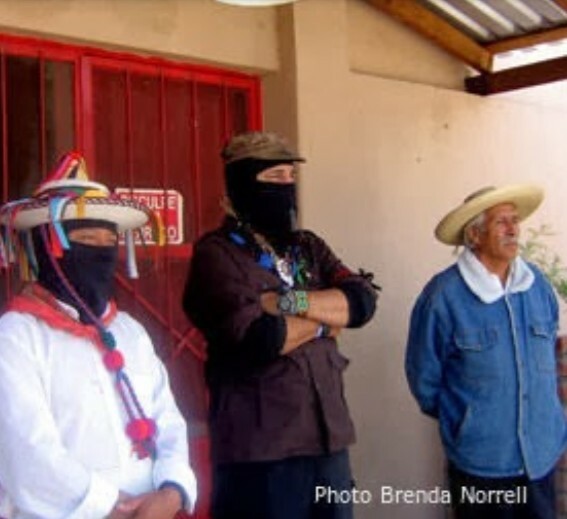 More information about the Forum and Ian’s work can be found at at www.nativecommunityactioncouncil.org and www.indigenousspring.org. Tiokasin’s second guest is Wakan Hopi Zephier. Wakan, an Indigenous Music Award winner, is the daughter of Paula Horne Mullen and Chief Arvol Looking Horse of the Oceti Sakowin. Wakan continues in her parents’ footsteps organizing her father’s vision of World Peace and Prayer Day in Hawai’i, which will take place at the Summer Solstice on June 21 on Hawai’i Island (also known as the Big Island). World Peace And Prayer Day/Honoring Sacred Sites Day is an international and intergenerational celebration for people of all faiths, nations, races, ages and genders who share concern for the welfare of humanity and the Earth to share in One Prayer. More information can be found at www.worldpeaceandprayerday.com and at http://us14.campaign-archive2.com/?u=741243bc31cf3248ccb9e83fb&id=e5807dce82. More information about “First Voices Radio”: www.firstvoicesindigenousradio.org. Join the “First Voices Radio” Facebook group page at www.facebook.com/FirstVoicesIndigenousRadio.